Our guide Marcos was awesome! Very informative and funny, and a good dancer. I will recommend to anyone that wants to partake in this incredible adventure. Something was lost in translation or at least my idea of gentle is not the same. There also seemed to be more ups than downs. 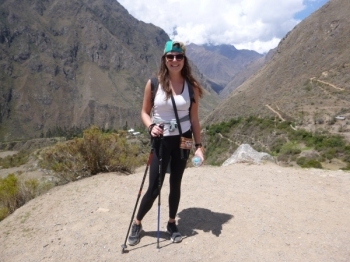 I had an amazing experience on the Inca Trail. It was very well organised with a helpful briefing the day before. 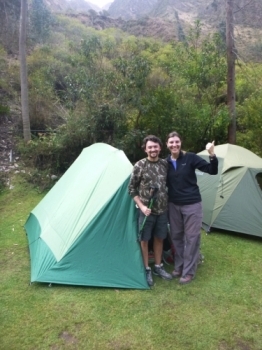 We were able to hire all of the equipment we needed from Inca Trail Reservations (walking poles, tent, sleeping bags etc.) 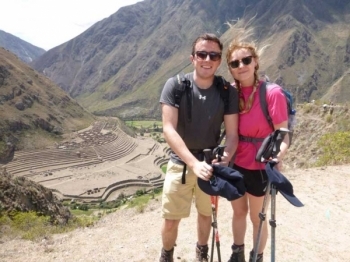 meaning that we didn´t have to buy or carry them for the duration of our trip in Peru. Wonderful experience with really fantastic guides. 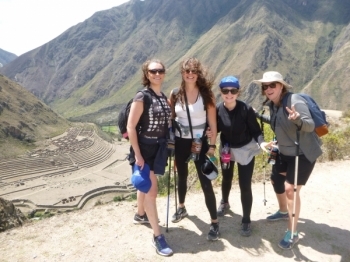 They were great fun and very knowledgable about the Inca Trail and ruins. I would definitely recommend a friend to do the trip. 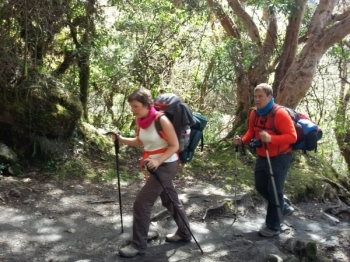 I was appréhensive about the Trail beforehand but it Turned out to be one of the best expériences I've ever had. 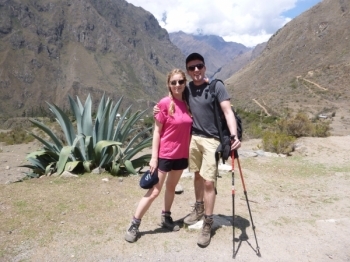 The inca trail was honestly one of the best things I've ever done, before going on this trek I was a bit nervous about the level of difficulty and enjoyment but I enjoyed every second, even the tough bits!. 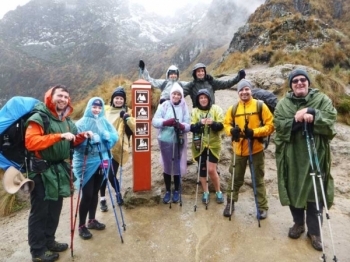 The inca trail was intimidating however from meeting our new inca family at km82 my worries were put at ease.packed with my less than appropriate footwear and my two walking sticks began a great adventure of 4 days filled with many a laughs a few chocolate breaks and no tears. Great great great loved it even though I thought I would not enjoy any of it- no negatives apart from the leak in my tent that dripped onto my sleeping bag and mat during the rain one night. 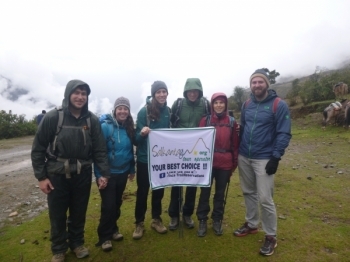 The salkantay trek was great ! ! . 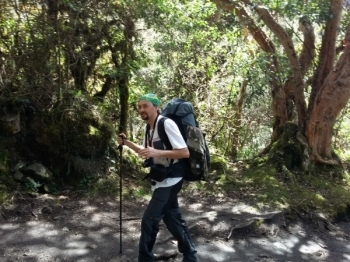 Our guides Eloy , was the best !! , he is very informative and patient with us when we were slow and complaining . 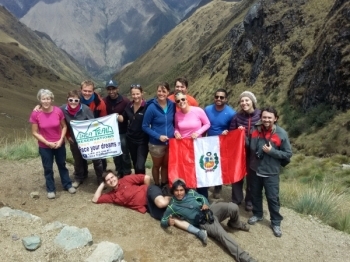 Ola foi uma experiencia magnifica em meio a natureza exuberante e ao encantador povo Peruano. 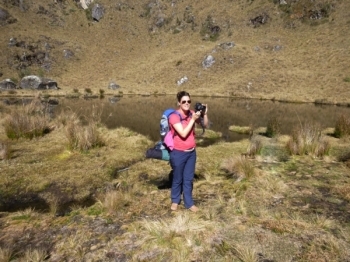 Encantei-me com o Caminho Inca, o Povo Peruano muitissimo acolhedor, os guias muito atenciosos, os portadores muito simples e humildes. A comida muito deliciosa. 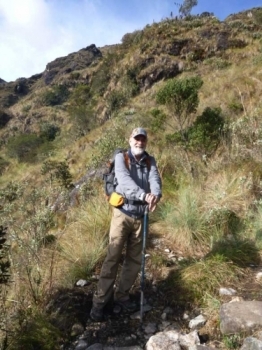 Adorei a historia do povo inca, muito sagrado, mistico, sabio, inteligente, organizado.Gostei muito mesmo e indicarei para meus familiares, conhecidos, amigos. Gostei da troca de experiencias e ideias, a natureza, animais, pessoas muito bonito. First day, easy peasy like lemon squizie. 5am on the bus, we met our group: some Twins from the netherlands we saw before, but also team America , à British mom & daughter and a couple brazilians. Four days of hiking. 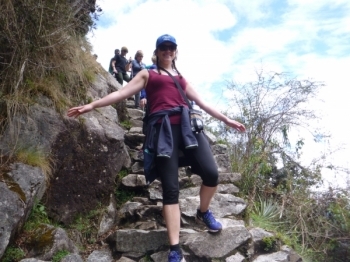 Sounds like it will be a tough hike; however the group with really friendly and funny group members with mixed nationalities (team America, team Europe and team Brazil) and the excellent guidance by our three guides made this trip unforgettable. 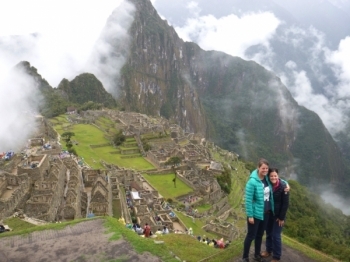 I want to start with: This was an incredible experience!. 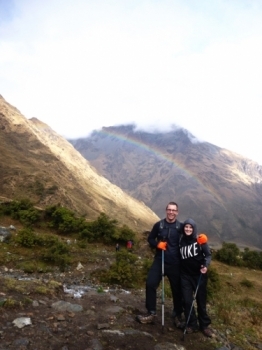 We expected a tough hike but with the guidance of our guides and porters it was a lot of fun. In their words: easy piecy, a piece of cake!.